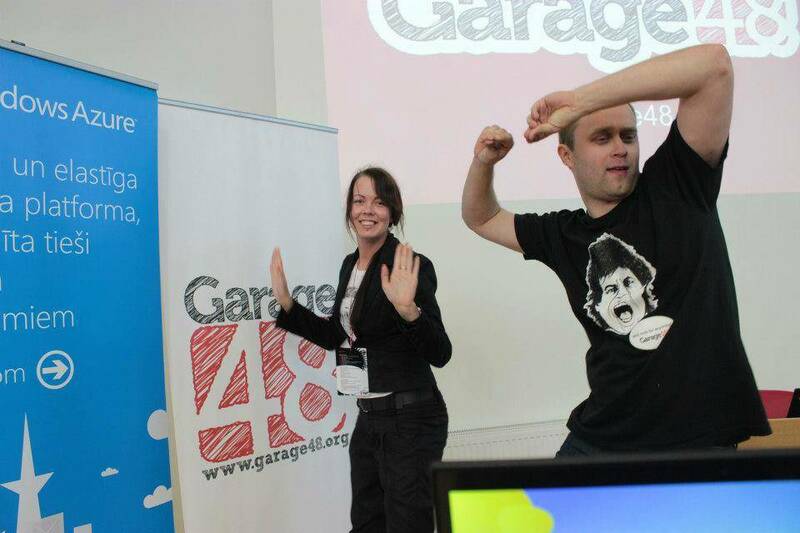 Estonian-founded Garage48 hackathon is an event where computer programmers and others in the field of software development – like graphic designers, interface designers and project managers – collaborate intensively on software projects within 48 hours over the weekend. The aim of the event is to set up working firms by the end of the weekend. But how does it work so fast? Three-time participant and one-time winner of the event with a service called Storymarks, Andrus Purde is confident that, despite the fact that his three startup attempts no longer exist today, the experiences gathered at the event are irreplaceable. “The idea is simple – in a single weekend you need to realise your idea in its minimum viable form, ie, build a working prototype. For this, the event gathers potential teammates that have common interest in an idea. This is why there can be unbelievable results from this single weekend,” Purde explains. The second part arrives when a stopwatch set to 90 seconds starts its countdown. The initial pitch determines your partners for the rest of the event, and maybe even for life. 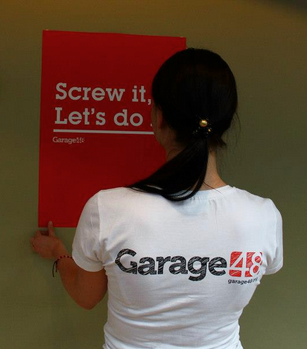 It’s true that the projects at Garage48 mostly fall in two categories: useful and entertaining. The first are being pitched in order to grow roots, the rest are destined to die after the three days. By the end of the first evening, the roles in the team should be set. Also, typically the evening is spent agreeing on the name and formulating the idea. “However, for some of the teams the idea is so clear that they can start with prototyping right away,” Purde states. The most crucial part of the work starts on Saturday morning. To not get blindsided, you need to present the organisers with intermediate results throughout the day. It’s not rare for a few of the ideas to run out of steam halfway through and not make it to the Sunday presentation. “Quitting is an exceptional case, though – with this rapid sprint format you cannot talk about ebbs, since no huge bets are involved and it’s a pretty laidback atmosphere. You can still get your pulse through the roof. For example, once I almost managed to erase the database of the whole team project,” Purde recalls one of his most anxious moments. When the morning of the third day is spent on prototypes, the afternoon is mostly practice time for the evening pitching event. Nobody wants to flush all their hard work down the toilet by saying something wrong, so the presentations are meticulously polished. Emotionally, the hardest thing is to watch other teams go on the stage on Sunday evening. “Inevitably, you start to compare yourself with others. I’ve seen teams that deserved a better demo, but also teams with a weak product but an excellent presentation,” Purde recalls. He doesn’t believe, though, that someone’s dreams will be shattered just because of a bad pitch. Once the results are in, some of the teams will continue tinkering on their project even after it’s past the deadline. “I have had my own experience of trying to finish an idea after the event and get it running for the next six months. Unfortunately, not all ideas are meant to fly,” Purde concludes. He also brings an example from the Garage48 event in Pärnu half a year ago where GoWorkaBit earned its wings. “The event was the perfect platform for them to meet the necessary people, build the first prototype, listen to expert feedback and spread their message,” says Purde. 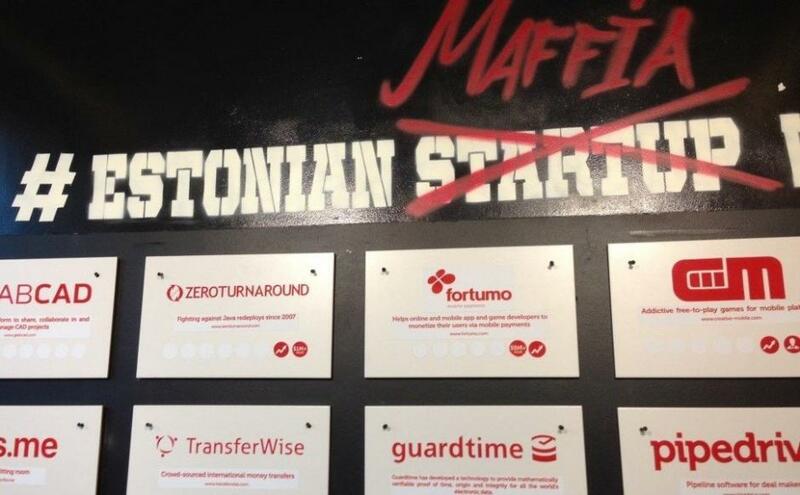 Cover photo: #estonianmafia “wall of fame” at the former Garage48 Hub in Tallinn (photo by Silver Tambur). The article was first published by e-Estonia blog.